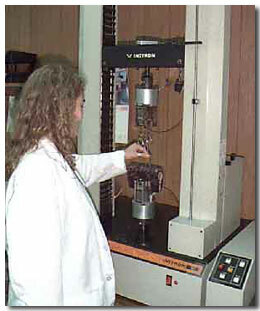 Independent Textile Testing Service, Inc. (ITTS) was incorporated in January, 1970 as the first independent testing laboratory in Dalton Georgia, the "Carpet Capital of the World". Our facility contains the most up to date and advanced test equipment in the carpet industry. ITTS is a comprehensive source of testing for carpets and textiles for manufacturers, consumers, interior designers, specifiers, architects, builders, and facility managers on local, state and federal levels. Our facility is an accredited laboratory under the National Voluntary Laboratory Accreditation Program (NVLAP 100166) administered by the United States Department of Commerce/ National Institute of Standards and Technology. Our objective is to maintain high standards in the unbiased/independent testing of materials and to update our services as the industry and regulatory agencies mandate. By constantly being active in the carpet and textile industry through testing and test method development, we at ITTS are committed to excellence and service to our clients and the maintaining of high standards in testing technology. Please call us with your textile testing needs at (706) 278-3013 or send us email by .